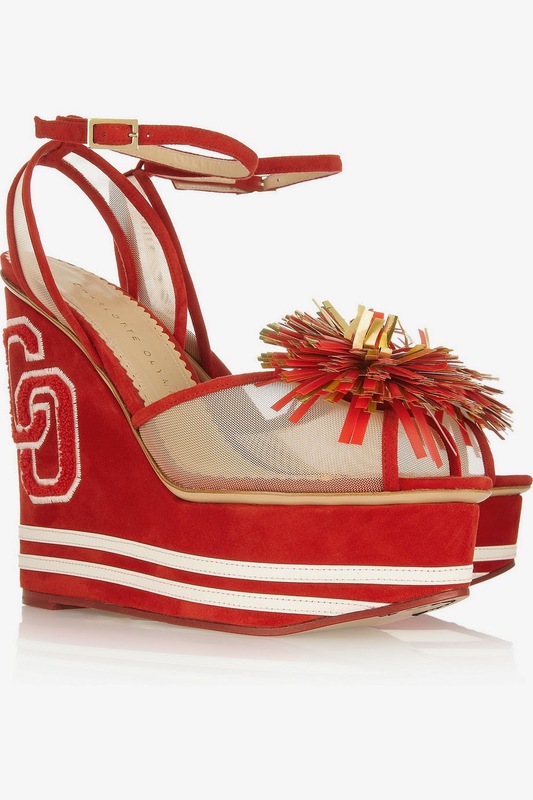 Thoughts on these Charlotte Olympia wedges? Yay or nay? This is hypothetical of course because the cost is way over my budget. The more I look at them, the cuter they get. Maybe that's just my prego brain talking. From the designer....."This collection references the glory days of American diners, Archie comics and 'Sweet Talk' on the playing field," says Charlotte Olympia of her latest collection. 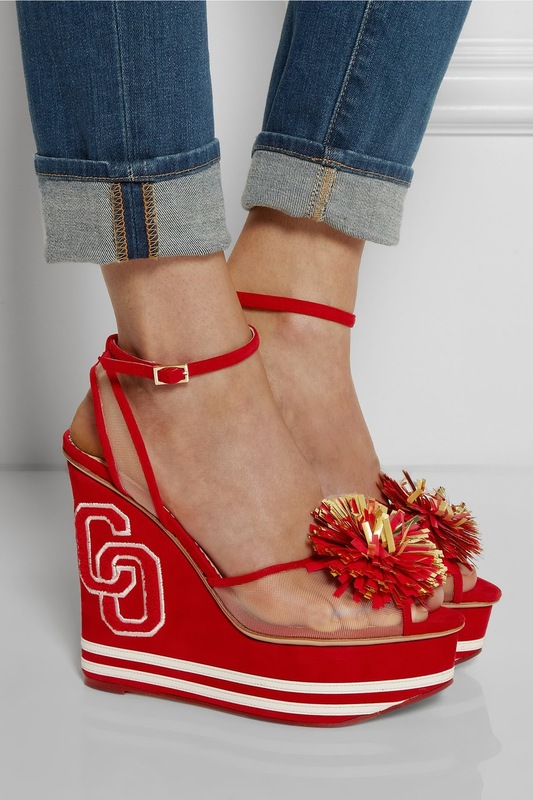 Handcrafted in Italy from red suede with clear mesh straps, these 'Team Spirit' sandals are finished with a gold-flecked pompom and varsity appliqués."